It’ll be a booze and cheese evening. 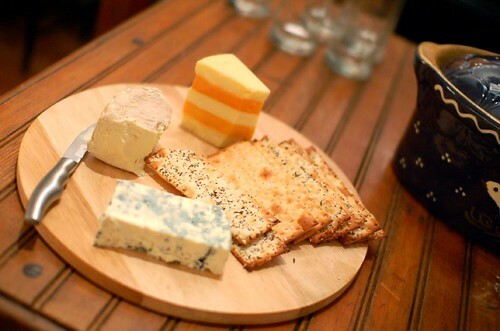 Not a wine and cheese evening, because we can understand people wanting to drink something other than wine. But there’s no understanding people who want to eat something other than cheese. So bring along your favourite flavour of cheese, which will be pooled with other partygoers’ contributions and shared freely like love. Crackers, bread and possibly pickle will be provided. 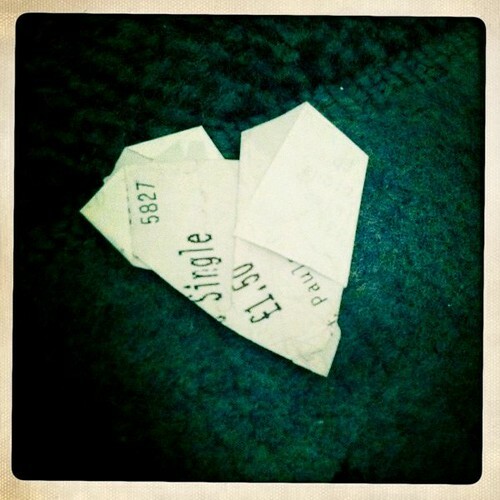 Usually my messiness is a bit of a curse but when I find a crumpled old bus ticket on my carpet in the shape of a SINGLE love heart, I rather like it.